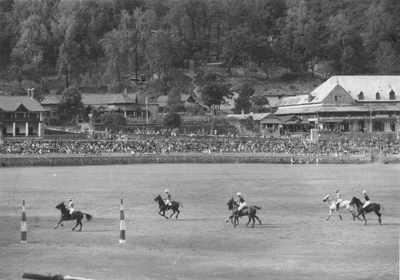 1930s Action Photograph of a Game in India. An original photograph most likely India, very large grounds, possibly one of the Hill Stations in India. Photograph size 17cms x 12cms approx. in ivory coloured mount.